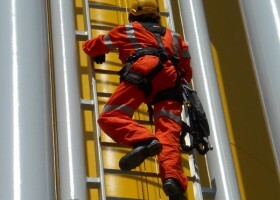 We stock a range of Personal Protective Equipment (PPE) such as safety body harnesses, lanyards and rescue equipment. Safety is paramount at Ridgeway with all staff trained to the highest standards, helping to ensure a mature working knowledge of all equipment. The introduction of an approved training licence to train on the safe use of mobile towers and workplace health and safety is an example of commitment to train site users of our equipment to a confident level. All items listed below are available from our Access and Safety Store. If you would like to enquire about any product below, please call Belfast on +44 (02890) 454599, Ashbourne +353 (01) 8027173, or select the button below to send us an email.